John Cennick took a bit of convincing to come to Dublin. A group of Dublin Baptists who heard him speak in London were so moved by his preaching that they begged of him to visit Dublin. Cennick was initially reluctant, recounting that he had “entertained a strong prejudice against the whole Irish nation and people,” but eventually acquiesced. In between these decisions, he changed his own allegiances from the Methodists to the Moravians, an evangelical Christian church that had its roots in 15th century Bohemia (the conversion was a result of two weeks on rough seas which he took to be a sign). 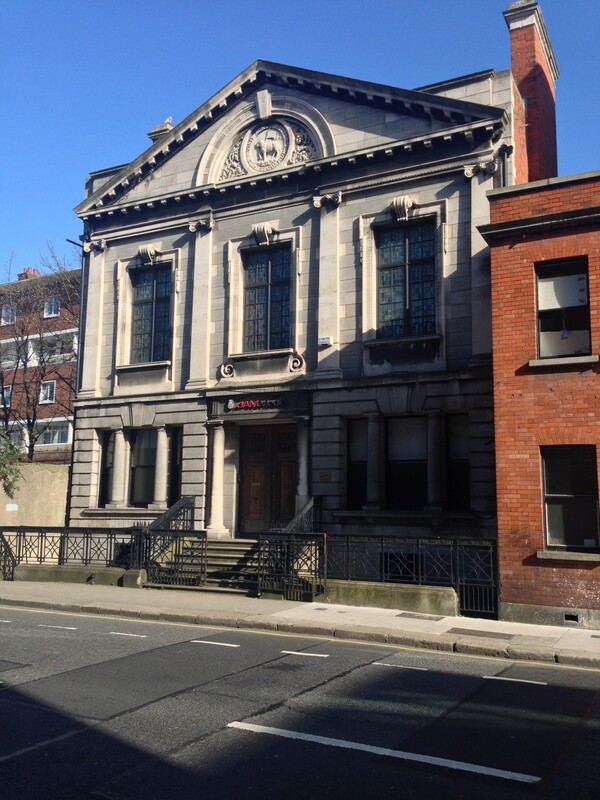 In Ireland, his first engagement was in an old meeting house on Skinner’s Alley (now Newmarket St). He began to attract large crowds, although Providence could not help him escape the Dublin wit: his reference to “the Babe in swaddling clothes” earned him the title “Swaddling John” (Boyle, 2010). This surge in activity of non-conformism in the early 17th century (Boyle mentions Arminians, Baptists, Bradilonians, Methodists, Muggletonians, Quakers, Socinians, Unitarians, but not, unfortunately, Movementarians) is captured on Rocque’s map of the city. 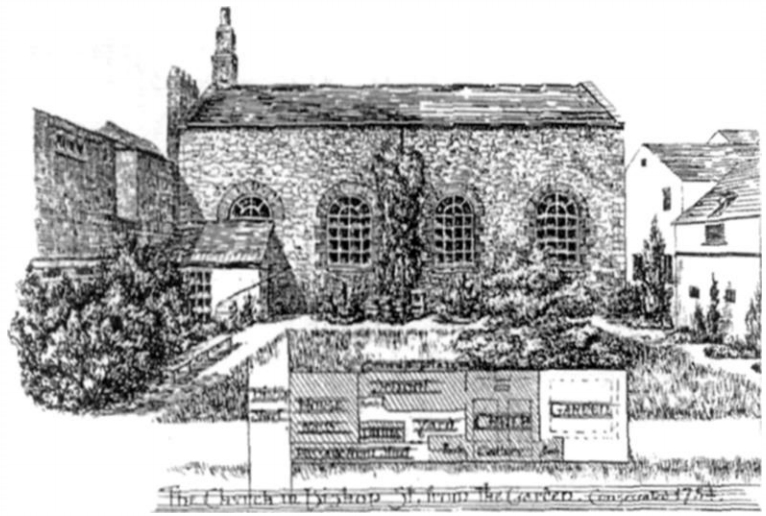 Kenneth Ferguson, referred to here before, has done sterling detective work and identified no fewer than seventeen meeting houses on Rocque’s 1756 plan of the city. 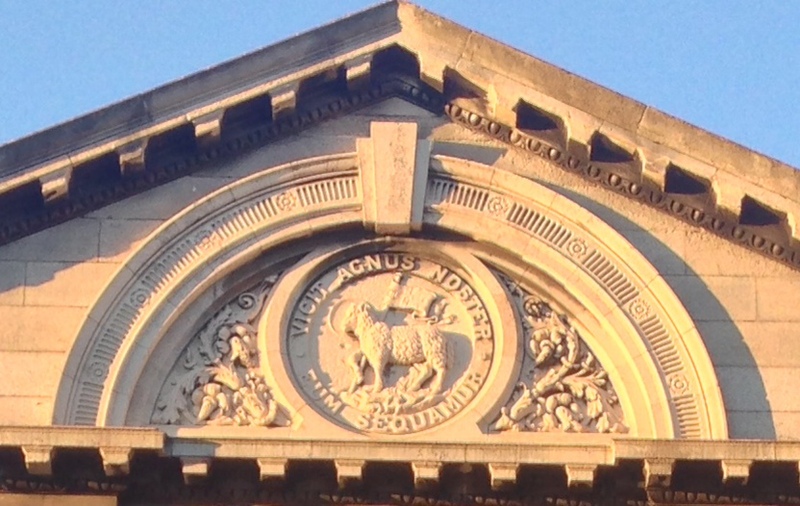 These include the house mentioned at Skinner’s Alley and that of interest here on Kevin St. Both of these, Ferguson notes with satisfaction, include the lettering ‘MH’ to indicate their status as Meeting Houses (Ferguson, 2005). 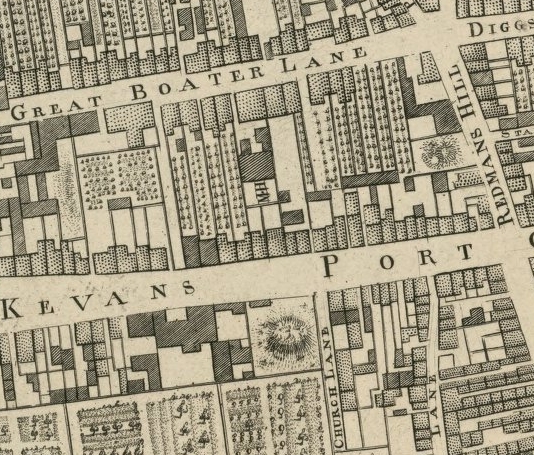 The Moravian House on Kevin St was more correctly on what is now Bishop St, then called Great Boater Lane, accessed by a tiny alley just visible on the map. This house was built after the Moravians were ejected from Skinner’s Alley by the Methodists, and evidently they had enough of a demand to establish their own house. The original house is all but hidden from view; a recent new building on Bishop St means it is now only visible from a small pedestrian walkway between Bishop and Kevin Streets. The building ceased to be used by the Moravians in 1959. It is now owned by a media company. Let us follow them. The Lamb of God, Bless the iPhone zoom. Seán Boyle (2010) Swaddling John and the Great Awakening, History Ireland, 18(5), 18-21.